Cinemablographer: Just as Good as the Original, Eh? Starring: Brendan Gleeson, Taylor Kitsch, Gordon Pinsent, Liane Balaban, Mark Critch, Mary Walsh. There is nothing especially new about one nation remaking a successful film from another. It’s a staple of the global business of filmmaking with spaghetti westerns and samurai films enjoying continuity, and with Asian blockbusters becoming Hollywood Oscar winners. It is, however, a rarity--aside from Hollywood redundancies--for countries to remake their own hits. Don McKellar’s The Grand Seduction is therefore a notable novelty if only because this Canuck flick revisits the 2003 Quebecois hit La grande seduction (aka Seducing Dr. Lewis). This take on The Grand Seduction barely changes a thing from the original film besides the language of its delivery, but anyone who has seen the charming comedy by Jean-François Pouliot knows that more of the same isn’t necessarily a bad thing. The Grand Seduction is a thoroughly enjoyable, if completely unnecessary, return to the seduction of Dr. Lewis by the citizens of a small seaside town. This time, instead of whisking viewers to Sainte-Marie-La-Mauderne en français, The Grand Seduction offers a sprightly trip to the fictional harbour of Tickle Head, Newfoundland. Tickle Head, like Sainte-Marie-La-Mauderne, is in the midst of an employment drought since opportunities to make ends meet with cod aren’t biting. That’s bad news for a fishing town and a good reason for why the folks of Tickle Head need to bring in a petroleum processing plant and create jobs for their harbour. The main hiccup in the deal is that the oil company insists the town have a resident doctor. Hence, when a former resident who left town to work at the airport in St John’s busts Dr. Paul Lewis (Lone Survivor’s Taylor Kitsch) for cocaine possession, Tickle Head gets a temporary doctor. The residents of Tickle Head therefore have thirty days to seduce the uber-metropolitan Dr. Lewis into seeing the quaint harbour as the ideal place to live. The task falls on down-and-out fisherman/welfare cheque careerist Murray French (Brendan Gleeson) to lead the charade. The Grand Seduction translates La grande seduction’s dance with Dr. Lewis almost verbatim as the residents pretend to prefer cricket to hockey and eavesdrop on the good doctor’s telephone conversations. The laughs come just as easily the second time around, though, even if one anticipates each familiar turn of events. The fishing expedition in which the locals help Dr. Lewis catch a frozen fish, for example, is just as uproarious here as it is in the original film. Ditto the farcical tempo of the harbour’s skit as the residents scuttle back and forth to deceive the authorities that the town is more populous than the census papers say. Some laughs are bigger this time around, especially thanks to the casting of Gordon Pinsent (Away from Her) as Murray’s cantankerous friend and partner-in-crime, Simon. Pinsent (a winner of a worthy, if premature, Canadian Screen Award for Best Supporting Actor earlier this year) steals every scene of the film with a bumbling mix of wry sarcasm and old-stock crankiness. Pinsent’s weathered face and dry delivery are highlights of The Grand Seduction’s slapstick side, but he also gives the film an especially tangible hint of local character. Other local Newfoundland fixtures, such as Mary Walsh and Mark Critch, work alongside Pinsent to give The Grand Seduction its humble humour. Gleeson, on the other hand, feels perfectly at home playing the shrewdly simple Murray, for the Irish actor commands the film with a performance of subtle heart and humour. A somewhat stiff performance by Liane Balaban, however, as Kathleen, the standoffish object of Dr. Lewis’s affection, doesn't really work, but her soggy crankiness makes Kitsch a charming outsider by comparison and Dr. Lewis ultimately shines as the most amiable (re: Newfoundland-ish) of the bunch. The film is peppered with small town charm and character, for the colourful supporting players make this take on The Grand Seduction feel as if it plays a world apart from its francophone predecessor. It’s easy to be swept in by the harbour’s seductiveness, for DP Douglas Koch uses the natural warmth of the sunlight on the water to highlight the picturesque seaside as a refreshing escape. The score by Maxime Barzel, Paul-Étienne Côté, and Francois-Pierre Lue adds a distinctly East Coast character to The Grand Seduction and the Celtic vibes of the soundtrack are especially engaging. The folksy presentation of Tickle Head at times teeters upon being patronizing to the otherworldly quaintness of the Newfoundlanders, but McKellar’s direction firmly invests The Grand Seduction with nostalgia for a time and place where people know their neighbours and belong to a community. The simplicity of the film is half its appeal. The adaptation by Michael Dowse (The F-Word) and Ken Scott (Starbuck) accentuates the back-to-basics air of the harbour and emphasizes the kinship of community, which ultimately makes Tickle Head’s plight of economic hardship resonate somewhat stronger than it does in the original film. Little changes as Dr. Lewis makes his way from one province to the next, but this return to The Grand Seduction feels fresh nevertheless thanks to the added timeliness of the story and the richly inviting setting. The broad scope and genial humour also makes this story an especially worthwhile one to revisit and bring to a wider Canadian audience, although the first Seduction had its own notable measure of national and international success. McKellar’s feel-good crowd-pleaser should play well from coast to coast: This return to The Grand Seduction is just as good as the original. It screens in Ottawa at The ByTowne, Landmark Kanata, and Cineplex SilverCity Gloucester. 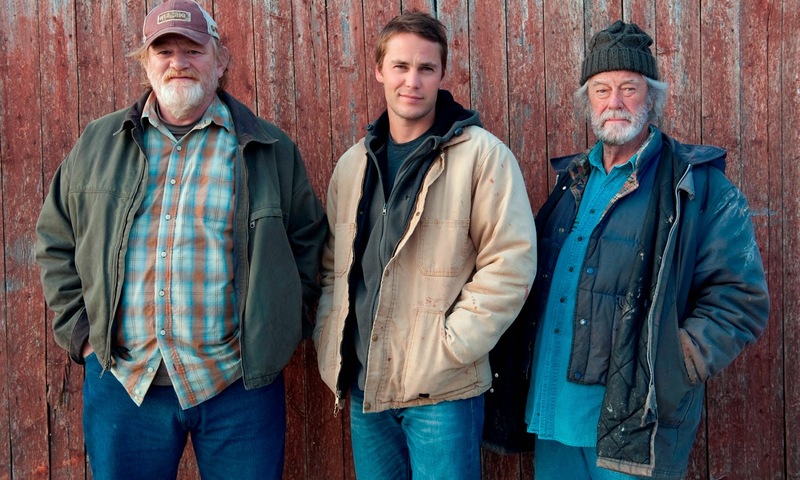 What did you think of The Grand Seduction?